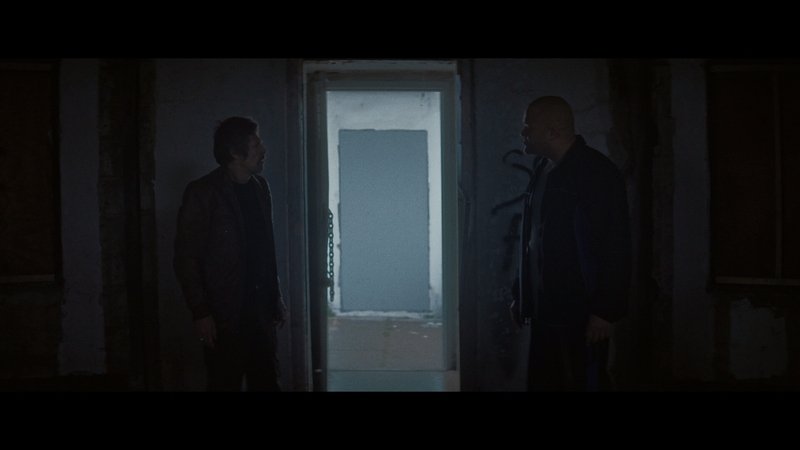 Nicolas Cage and Willem Dafoe star in this bizarre crime movie from director Paul Schrader. Based off crime writer Ed Bunker’s novel, Dog Eat Dog is Elmore Leonard by way of Quentin Tarantino and even Guy Ritchie. A raw, occasionally wild drama, three ex-cons are hired by a Cleveland mob boss to kidnap a baby for ransom. It could be the big score that gets them out of the game, if they survive. Dog Eat Dog has a strange, rambling energy to its slipshod plot. A trio of ex-cons, fresh out of prison, work small jobs that pay the bills. It leaves them yearning for a bigger payday so they can quit crime before it sends them back to prison. Troy (Nicolas Cage) is the tempered mastermind of this criminal outfit, a self-styled man that views himself as Humphrey Bogart. His associates are Diesel (Christopher Matthew Cook) and Mad Dog (Willem Dafoe). All three lead characters are quirky in their own right, practically plucked from a hard-boiled Elmore Leonard novel. 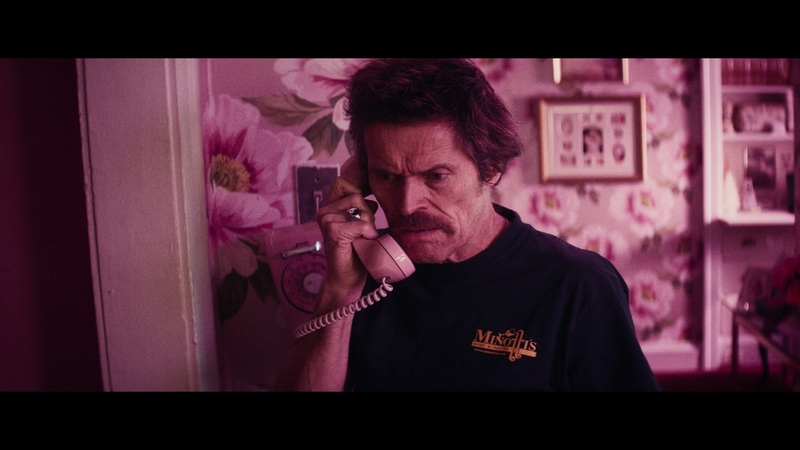 Mad Dog is a loony, grizzled low-life played to abandon by Willem Dafoe’s usual manic antics. Diesel is the muscle of the group, surprisingly played with more depth by virtual unknown Christopher Matthew Cook than Dog Eat Dog’s more famous lead actors. Cage and Dafoe by this point seem to play caricatures of themselves in most roles. This movie is no exception. 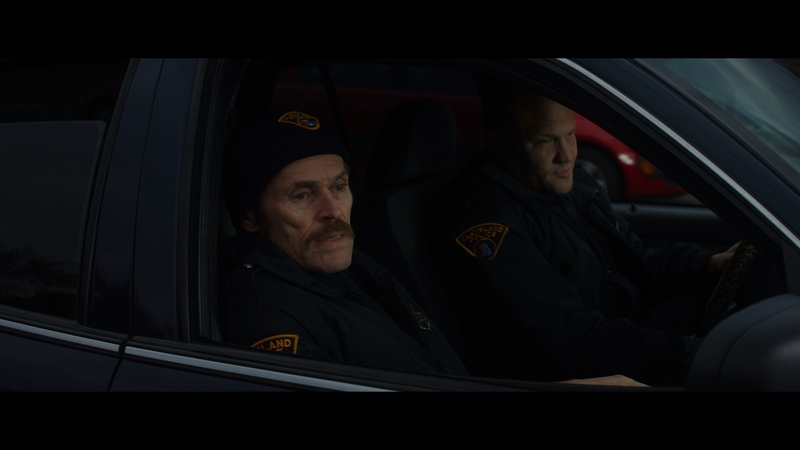 It’s clear that Schrader let his stars ad-lib and improvise whenever they wanted. That likely leads to some of the more colorful moments in the film but also distracts in a couple of pivotal scenes. Nothing in their life of crime comes easy for the three partners, which drives them to accept a risky job kidnapping a baby for ransom. A huge score is involved, so if everything goes smoothly they can retire from the game before the cops catch them. This being a crime thriller, things go awry for the career criminals. Dog Eat Dog is better understood as a violent, black comedy than a gripping crime thriller. It does have the requisite violence and tension of crime drama, but Schrader lets his freewheeling stars run the show. 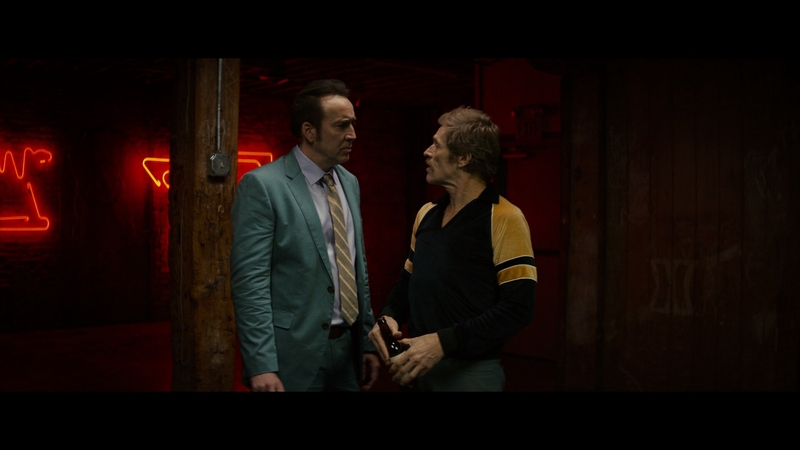 After Schrader lost final cut on the last film he directed with Cage in it, Dying of the Light, the veteran director goes all out in Dog Eat Dog’s several showy, psychedelic sequences. It’s a case where style becomes more important than substance. The film opens with what can only be described as a bizarre, surreal scene lampooning white trash culture. Dafoe clearly relishes playing the psychotic Mad Dog in the over-the-top introduction to his wacky, needy character. There is also the matter of Dog Eat Dog’s odd ending, which takes a bold, creative gamble. It doesn’t necessarily work out but will certainly get viewers talking. 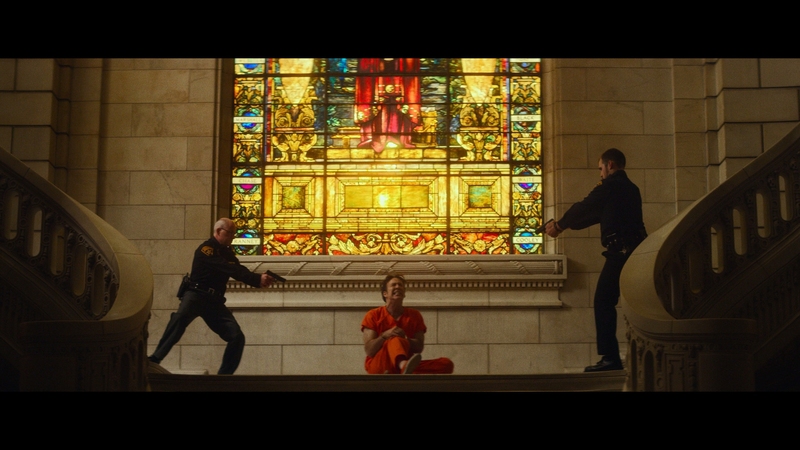 Cage likes hamming it up when given license and definitely takes advantage when called for it in the zany finale. Dog Eat Dog is ultimately a creative failure, though an interesting failure. There is enough to like about the idiosyncratic performances from Dafoe and Cage to give it a mild recommendation. 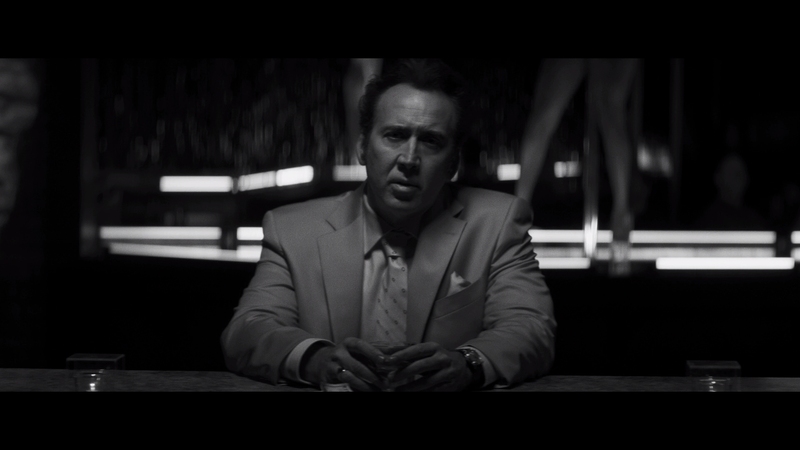 Director Paul Schrader’s movie isn’t the run-of-the-mill fodder that Cage has been churning out lately. 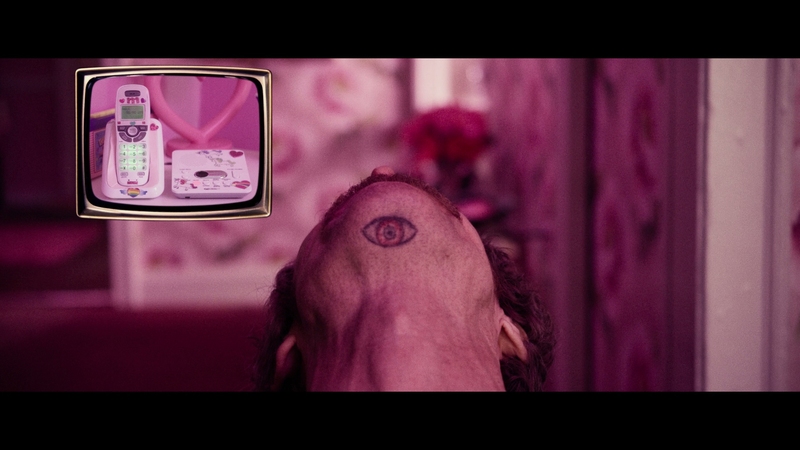 Dog Eat Dog is a quirky crime drama with a darkly twisted sense of humor. If only there was more to its thin plot with emotionally involving characters. RLJ Entertainment gives Dog Eat Dog a satisfactory Blu-ray presentation reflecting the movie’s softer, more filmic cinematography. Filmed with a variety of filters and awash in strong lighting, everything from black-and-white to pink hues dominate its look. There is a distinct retro vibe to Dog Eat Dog despite it being set today. 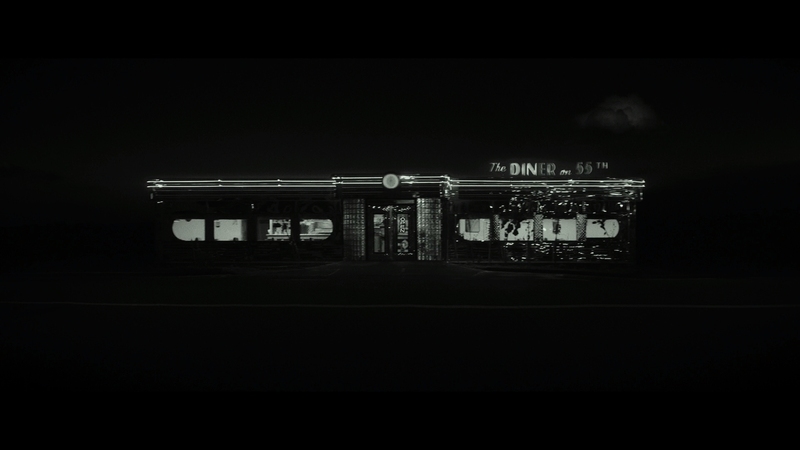 The 1080P video is shown at the film’s intended, 2.35:1 scope aspect ratio. The 93-minute main feature is encoded in adequate AVC on a BD-25. Minor banding is introduced and visible on calibrated displays. Dog Eat Dog offers solid definition without the mind-blowing clarity seen in many newer productions. The new release has a steady contrast with decent shadow delineation. A subdued color palette often gives way to more spectacularly lighted scenes with psychedelic imagery. It’s possibly a case of style over substance for the gritty crime film. This is a largely unremarkable Hi-Def offering on the format with no serious transfer problems. The audio comes through in fine 5.1 DTS-HD MA. Dog Eat Dog includes nice bass reproduction, though its surround profile is somewhat limited for a movie with explosions and gun shots. Most of the heavy action is confined to the front soundstage. This is a fairly standard mix with intelligible dialogue, backed with a driving score. It doesn’t have the whiz-bang audio often heard in crime films. Optional English SDH, Spanish, and French subtitles play inside the scope framing of the movie at all times. They appear in a white font. Dog Eat Dog receives a glossy slipcover with minor embossing. 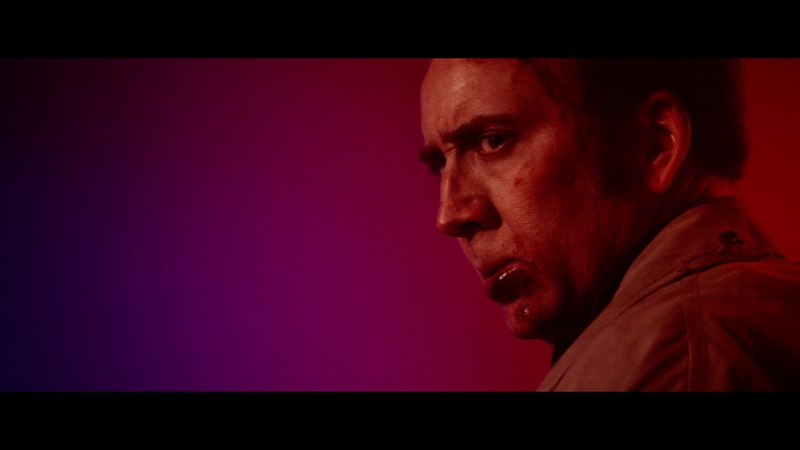 For an independent release that virtually went straight to video, both Paul Schrader and Nicolas Cage contribute to the special features. That is unusual for this kind of fare. 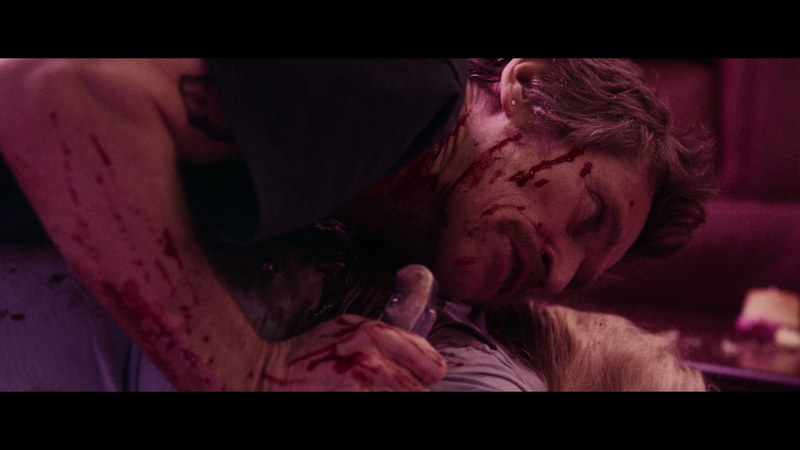 Director Audio Commentary – Paul Schrader goes over the film in rambling detail, leaving little out. It’s the kind of commentary that isn’t easy to digest in one sitting but provides some entertainment over several sessions. BeyondFest Q&A with Nicolas Cage and Paul Schrader (25:08 in HD) – Cage talks about why he took this project and the inspiration behind his take on Troy. A couple of questions from the audience are taken near the end. Schrader defers to Cage on most subjects. 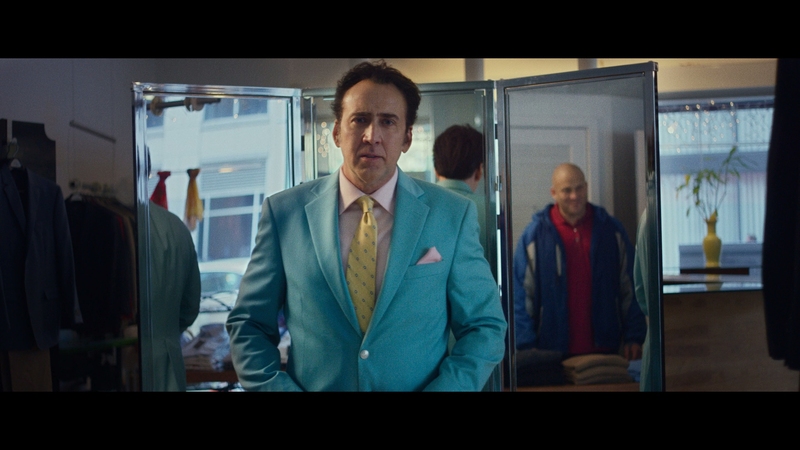 Nicolas Cage Video Introduction (00:50 in HD) – A brief intro video filmed in iPhone’s skinny video format for the premiere he couldn’t attend. 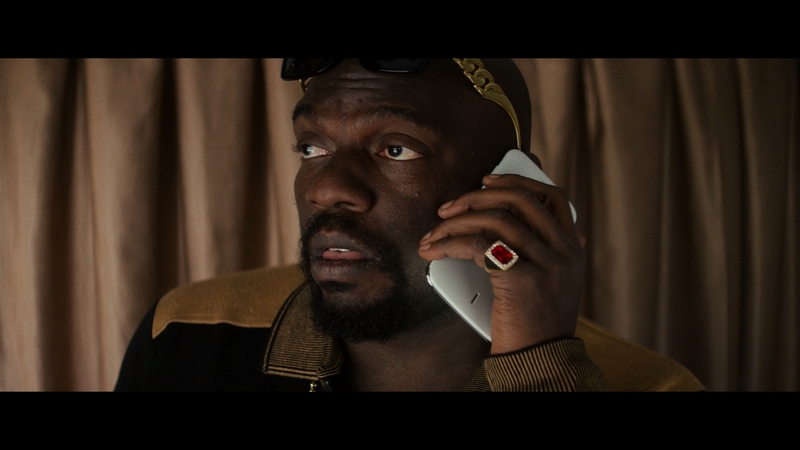 Trailers for Rage (02:09 in HD), Criminal Activities (02:06 in HD) and I.T. (02:12 in HD) play before the main menu. Nicolas Cage and Willem Dafoe play quirky criminals that have to kidnap a baby to escape their life of crime. Click on the images below for unaltered, full resolution screen captures taken directly from the Blu-ray. Patreon supporters see our screen shots first, view our entire library in .png format, and gain early access to six Dog Eat Dog exclusives for as little as $1. They are perfect for custom cover art, film study, or other applications.